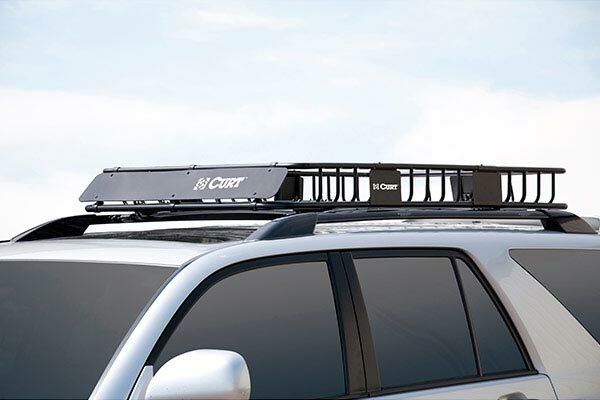 With a Curt Roof Mounted Cargo Basket atop your vehicle, there's no limit to what you can bring on your road trip. 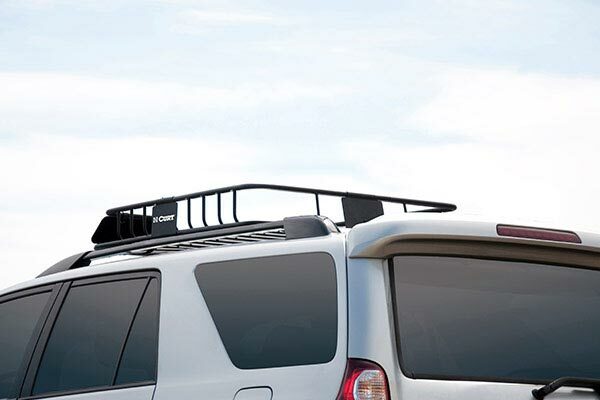 Whether you over-packed for a weekend trip or you're trekking cross-country, you never have to worry about finding room for your extra luggage. The perfect accessory for your roof rack, this Curt cargo carrier attaches to round and square aftermarket bars, as well as most OEM racks. 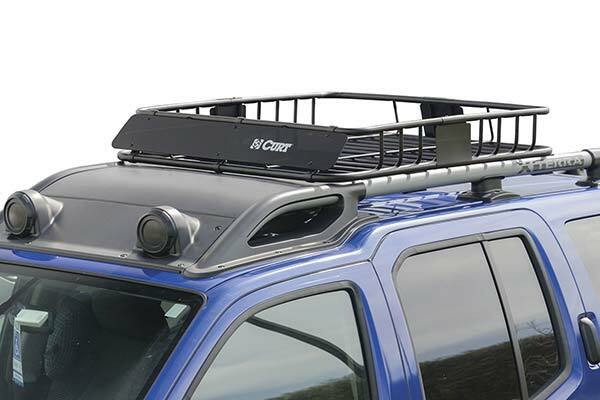 It is lightweight and finished with a durable, black powder-coat. 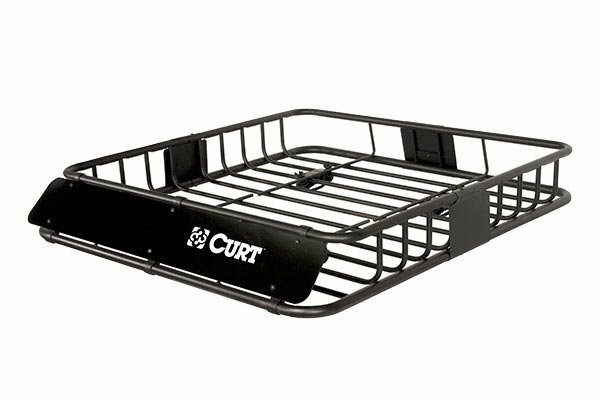 Made of just two pieces, your Curt Cargo Basket is easy to assemble and install. 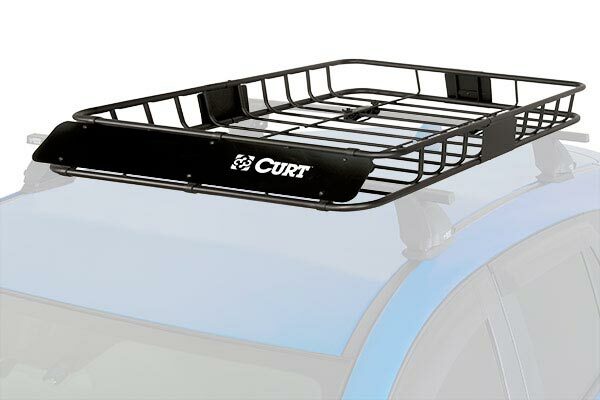 For total cargo security, add a Curt Cargo Net to hold your gear in place. 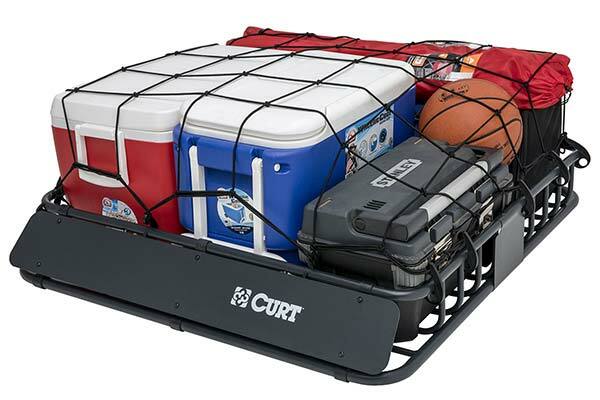 For total peace of mind during your trip, your Curt basket is backed by a Lifetime Warranty. Screws can barely be tightened. Some holes not threaded at all, had to tap and buy a larger screw. The finish looks like it was peeling and then repainted. 2 fairing clips broke during attempted installation. 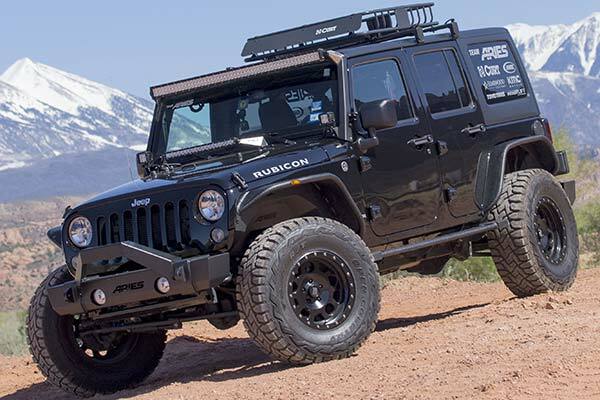 Mounting brackets are bulky and unattractive. 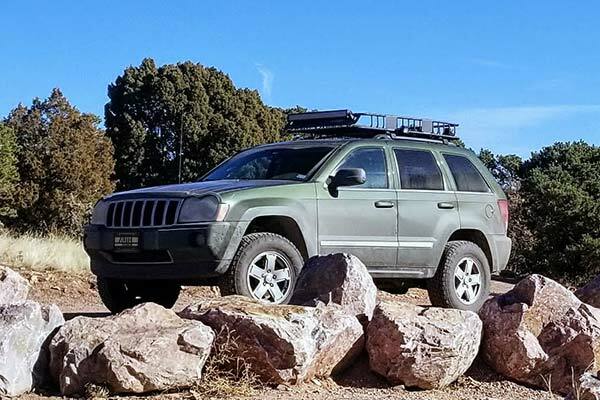 Well built, extended was a must for my application. Easy to install. 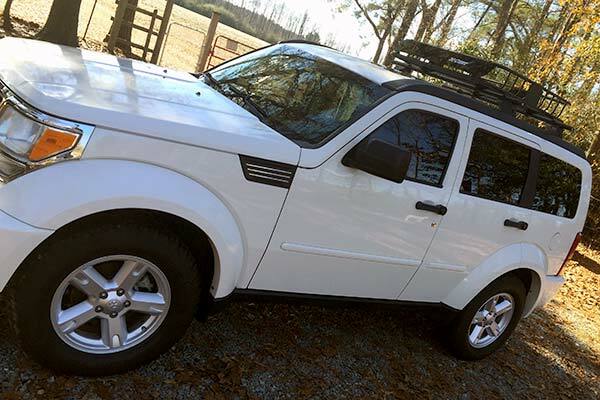 I was missing two small nuts for wind deflector, but overall good value for the price. Great product.As good as any other brand costing 3X. Noise level not bad at all at 70mph.on my 2018 Toyota Highlander. Needed careful mounting to reduce wind noise. 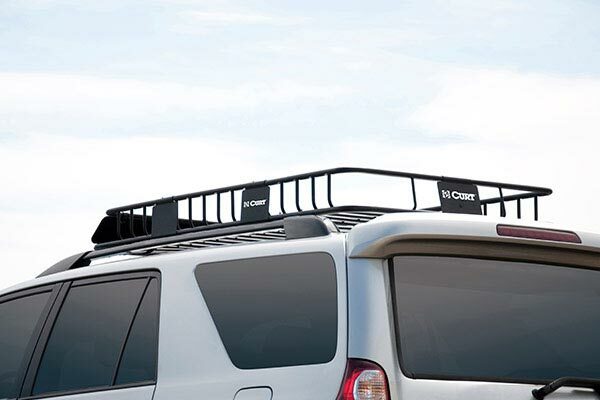 I ordered the extended basket for my family van. Looks great and assembled well except a few screws that stripped out, but easily replaced with screws from Lowe's. Basket itself seems to be of hood quality. 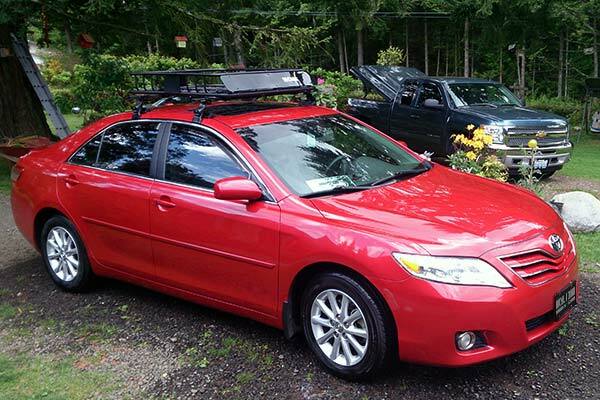 Mounted well to my Yakima round bar rack, but looks like it would mount well to other aerodynamic styles as well. 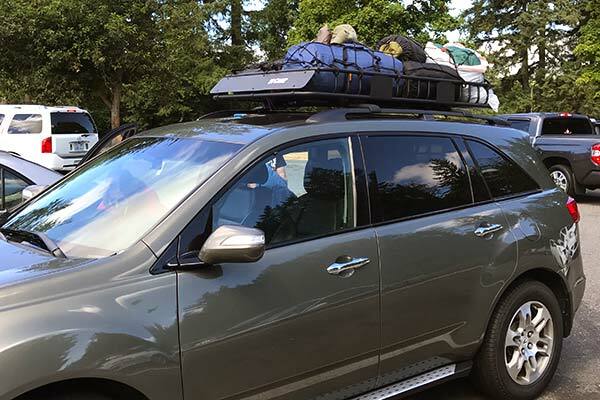 I was able to save a lot of room in the van with putting gear in the basket secured with a rectangular cargo net. Very happy with purchase. Reference # 761-770-321 © 2000-2019 AutoAnything, Inc.